Is new advertising to come with their new store design? Steve’s breakdown: Subway is the store changing its look and we can’t help to think they will be doing the same with advertising. At the very least, everything has to be re-shot to reflect the redesign. MILFORD, CT: Subway is debuting a new look. On Monday, the fast-casual restaurant chain unveiled a new store design intended to provide a more distinctive and welcoming customer experience. The new “fresh forward” design, by FRCH Design Worldwide, includes a bright color palette, inspired by the hues of fresh vegetables, wall decor that communicates the brand’s emphasis on quality ingredients, and more contemporary-looking seating. It also features such tech enhancements, such as self-ordering digital kiosks. 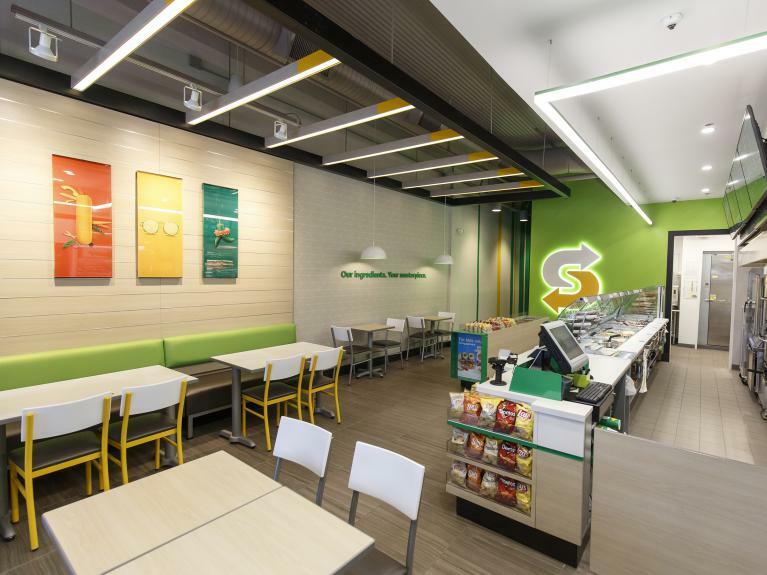 “We’ve created a modern design that gives our guests choices – from how they order, to how they pick up their food, to how they enjoy their meal,” said Trevor Haynes, VP of operations at Subway, which operates more than 44,800 franchised locations. Digital: Self-order kiosks in select locations, digital menu boards and, as always, Apple and Samsung Pay options. A separate food preparation area and a designated pre-order pick-up location for kiosk, mobile app, delivery, catering and bot for Messenger orders allow for a speedy customer experience. Food: Fresh veggie display with whole tomatoes, green peppers, onions and cucumbers that are sliced daily, plus new bread and cookie displays on the front of the line. 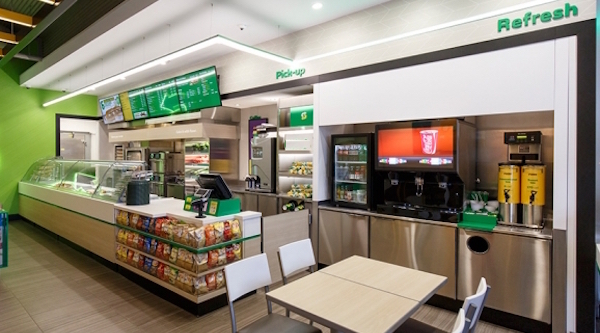 Subway debuted its new “fresh forward design” in nine pilot locations in the United States, including four in Florida (Tamarac, Winter Park, and two in Orlando), along with two in Canada and one in the United Kingdom. Subway’s new design will be featured in all future locations and remodels starting this year, with the majority of remodels to begin in 2018, reported CNBC. About 85 locations in North America are in the process of rolling out the new format, the report stated.